Diversity in dining is a reflection of an evolving society. Just think of a typical American culinary palette of the 1950s: Pot roast, mashed potatoes, gravy, spinach boiled to drab green mush, creamed corn. Your plate was all white and tan, with maybe a green highlight or two (it helped if you had an iceberg lettuce salad on the side). The one bright spot, color-wise might have been a jiggling red blob of Jell-O for dessert. I’m oversimplifying, of course. Depending on where in the U.S. of A. you lived in during the decade when I was born, you would have grown up having Italian food, or Jewish food, or maybe Mexican or Americanized Chinese food. But Middle America — the land of Better Home and Gardens Cookbooks — was all about red meat and multiple kinds of carbs. Don’t get me wrong — I love white and tan food. Except for that over-cooked spinach, which is a crying shame, I love that typical ’50s meal, including the Jell-O. But for 2013, I’m sure glad that Americans have a much wider appreciation for ethnic cuisine, from Italian and Mexican to Chinese, Korean and Thai. No worries — there’s a brilliant service called Nagomi Visit International through which you can set up a home-cooked lunch or dinner during your travels in Japan, and make new friends while you’re at it. At least two weeks in advance of your dinner, go to www.nagomivisit.com and choose a date, whether you want lunch or dinner, and the part of Japan you’ll be in during that date. You’ll pay 3,150 yen per adult, which right now is right at 100 yen per US dollar, so just around $31 per person — not bad for a special meal. Nagomi Visit gets part of that and your host gets part (it goes toward paying for the meal’s ingredients). Tagged alisa sanada, Food & Dining, home-cooked meals, japan, nagomi visit, real japan. Bookmark the permalink. I definitely would recommend that to anyone I know who is visiting Japan, and I’ll probably try to find out if there is a similar thing in whatever other country I try to visit. Thanks for your comment, Jessica — it’s true it seems like every country should have a Nagomi Visit-style operation! Thank you Jessica for the lovely comment. 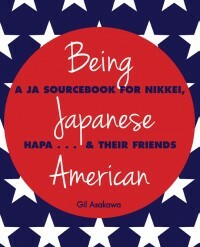 We were already delighted by Gil Asakawa’s write-up but your comment was the icing on the cake! Arigato!